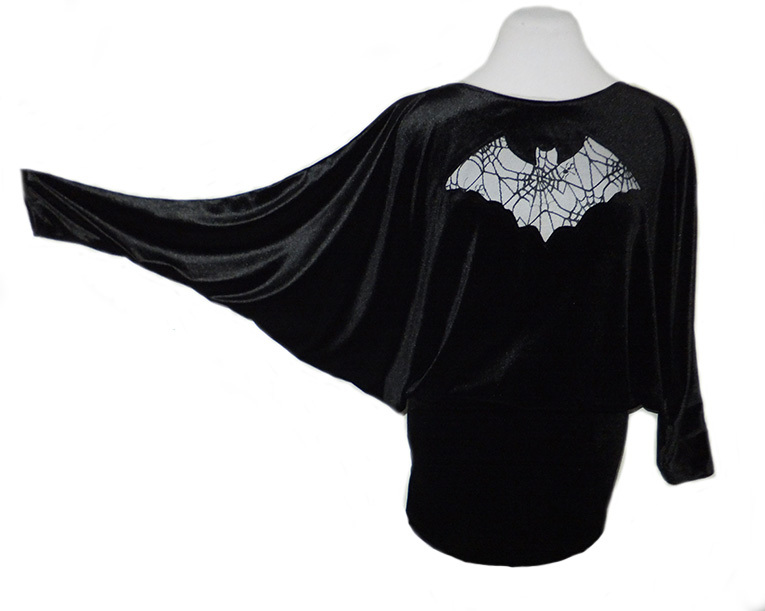 Stretch Velvet Bat Wing sleeve top / Mini Dress with a see through spider web bat motif on chest. Length: 30 inches from shoulder to hem - can be made shorter or longer on request. I will also need to confirm your arm length and wrist circumference.